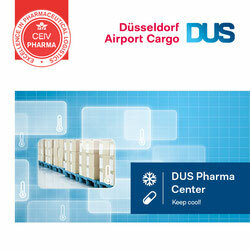 Another Brussels Airport handler has just received IATA CEIV Pharma certification. This time it’s Worldwide Flight Services (WFS) who state that this is their first European station to be certified. WFS is currently aiming for IATA CEIV certification and Good Distribution Practice (GDP) at major locations within its complete global network. This, they say, also includes erecting new facilities at other stations such as Paris, Milan and Copenhagen. WFS Brussels pharma products are rapidly increasing and figures show that shipments handled in 2016 rose by 170% and are expected to increase even further by the end of this year. WFS also received the ‘Cargo Handler of the Year’ award in Miami for the third year running. The award was presented to the Paris-based ground handler for their commitment to security, technology and innovation. 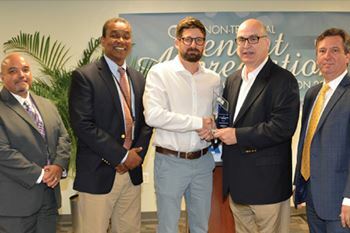 It was handed over to the handler by Miami International Airport after the jury which was made up of experts from the airport, the Miami Chamber of Commerce and other aviation professionals, opted a third time for WFS. The company has developed new in-house cargo handling procedures at Miami Airport, as well as what they term as seamless IT interfaces with various airline IT systems which enable a paperless working environment. On top of this, a new eScreening module designed to fully integrate the cargo screening process into ePic has been introduced. The new screening process also meets cargo security requirements of the U.S. Transportation Security Administration (TSA). 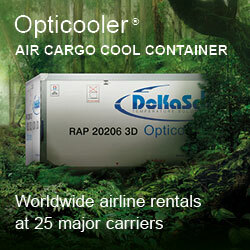 Worldwide Flight Services operates eleven cargo handling facilities at MIA, and serves 30 different airline customers. The workforce has been upped by 10% this year and so far almost 600 million kilos have been handled there by WFS.